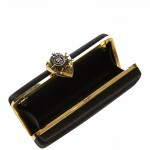 the royal wardrobe at your fingertips! 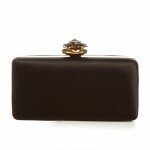 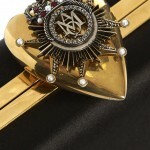 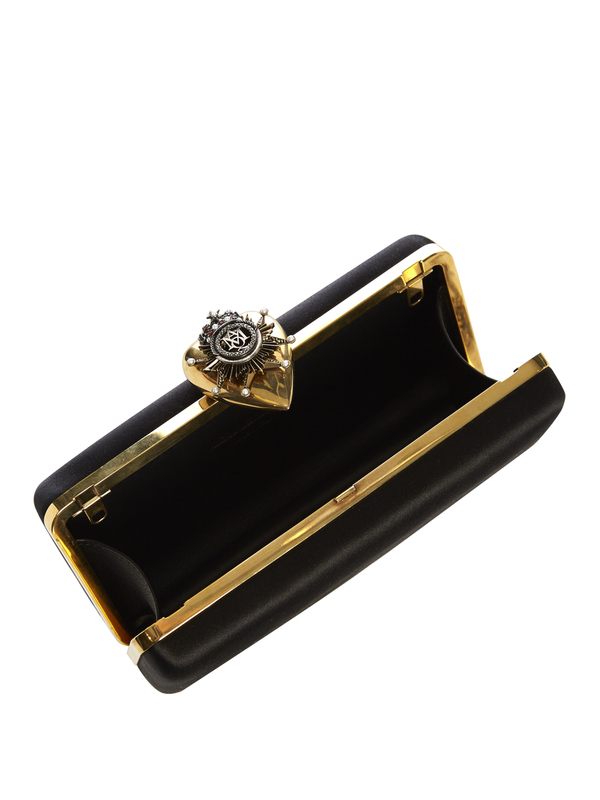 This box-shaped clutch is in black satin with a gold-tone metal frame. 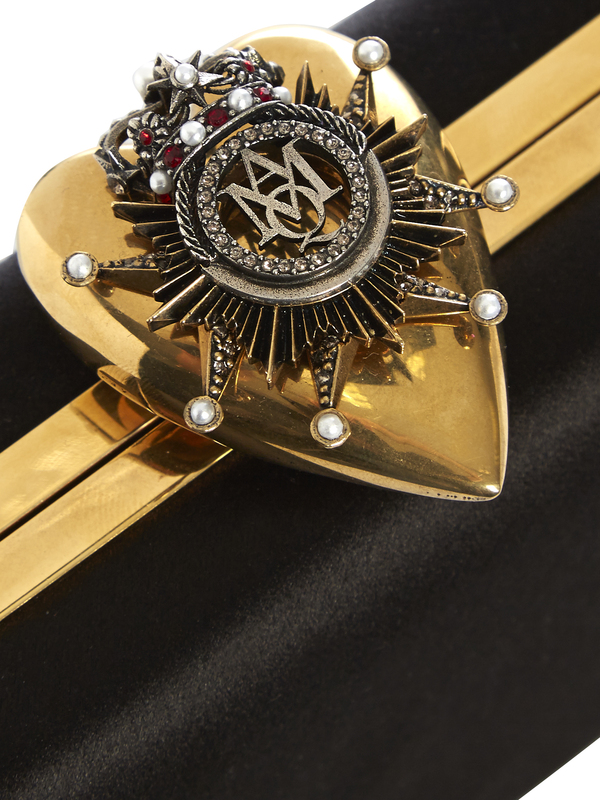 It features "a two-tone heart-shaped metal clasp that glimmers with sparkling red crystals and faux-pearls." Retail: $2,075.